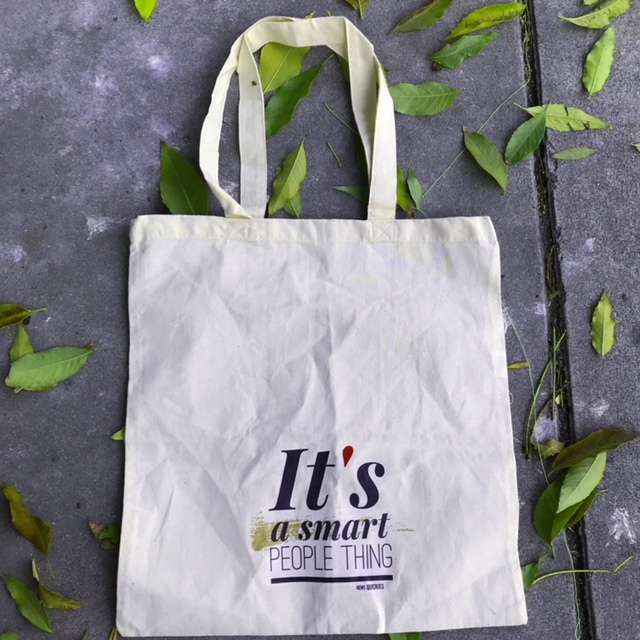 How’s everyone’s Christmas shopping coming along?! We’re only a few days away from Christmas 2017! I’m here trying out something new: reviews on Youtube channels. To kick off this idea, lets take a look at News Quickies. Do you just ever get tired of watching the news and getting an overwhelming amount of information? So much that you don’t know what to listen to anymore? Well, you’re in luck then! Stephanie Martinez a five-time Emmy nominee reporter based in Los Angeles and is the voice of News Quickies. 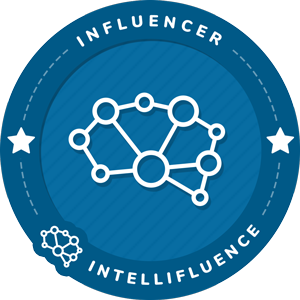 Think News Quickies as a video version of theSkimm. The best part is that you’ll know the latest news going on in the world in less than 90 seconds without having to turn on the TV. Can you believe we’re only 2 weeks away from Christmas! 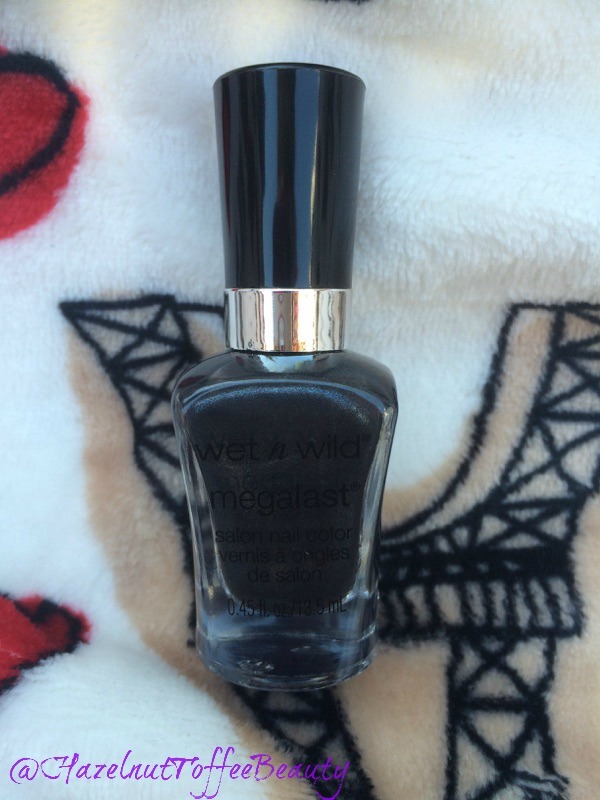 I’ve been in the mood for darker nail polishes since Christmas are coming up! So then, I opted for Revlon ColorStay in 270 Stiletto. 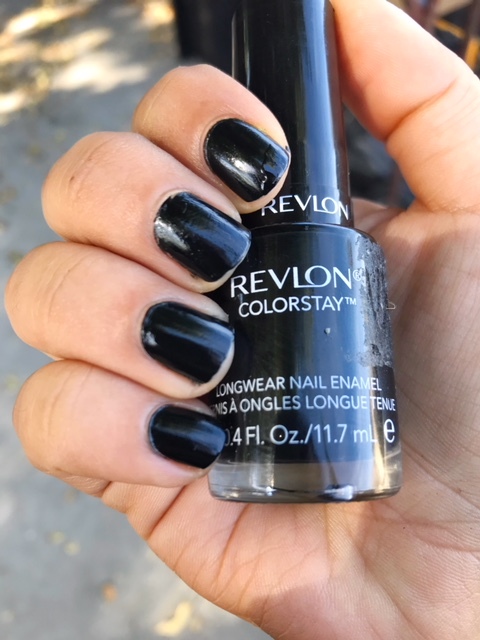 It’s a beautiful black cream polish which works perfectly for the holidays, especially if you add an accent nail with a glitter top coat. What do you guys think? 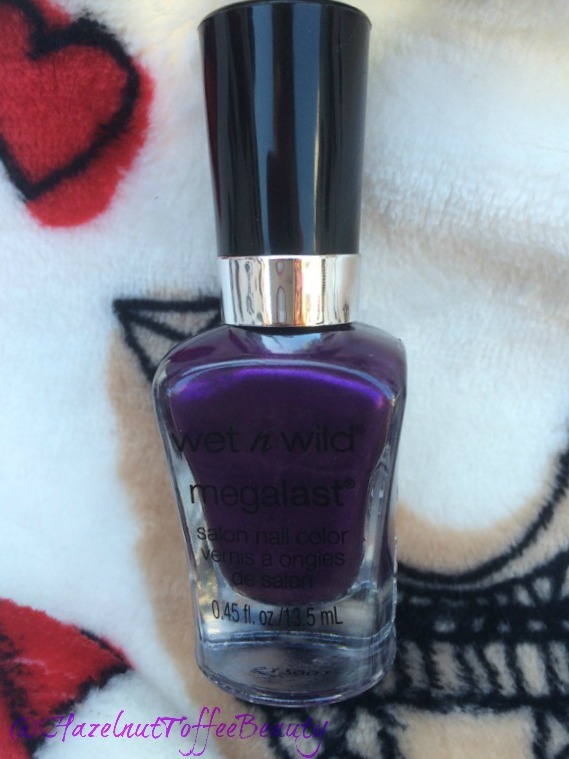 Any other nail polishes I should look into? I’m changing things up this week since I’ve still got my gel nails on! This has been an over due eye shadow palette review that I completely forgot about! Back in Christmas season, CVS had a Wet n Wild palette kit which included an eye shadow palette, an eye primer, and an eyeliner. This has been in my makeup storage for quite some time and forgot about it. The only reason I remembered it was because I was wearing a green top and wanted to go for a green look, and I found the palette hiding. 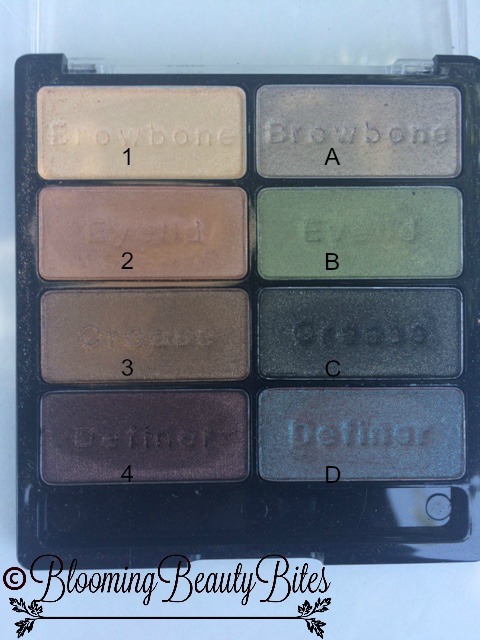 This palette has 6 shades, and is called Comfort Zone. 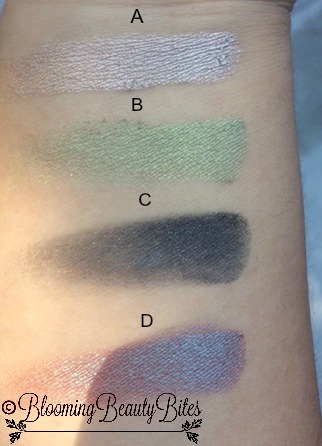 There’s 2 sets of shadow shades: a rosey taupe set and an emerald green set. A light golden shimmery brow bone color. I use this for the brow bone and also sometimes in the inner corner for a pop of color! A rosey eyelid shade: This usually my go to eyelid color when I want a rosey pink look. I love how its light and actually very buildable. 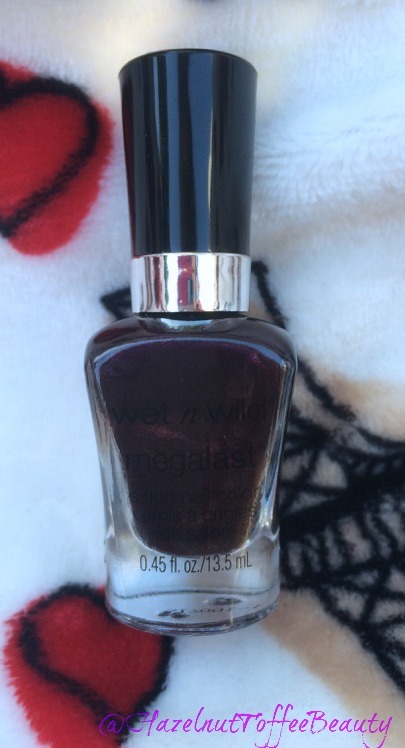 A darker brown definer shade: This is probably one of the darkest shade in this palette! It has a burgandy reddish glitter to it. I love using this as an eyeliner for those days I don’t want to use a gel or liquid liner. I’ve read that people who use an emerald shade for brown eyes makes the eyes pop. So I love this part of the palette! A. a bronze browbone: Again I use this for mostly the inner eye. It’s such a pretty bronze taupe shimmer. B. a spring green eyelid: This is actually my favorite color from the whole palette. It’s a pretty shimmery green that is buildable. It looks really pretty on top of the Revlon ColorStay Creme Eyeshadow in Pistachio. C. a grayish brown with a shimmery top crease. It’s a bit harder to blend in compared to the others. D. a red brown with a blue-teal duochrome and frosty top. I love this is shade as well just because it’s so different! There you have it loves! 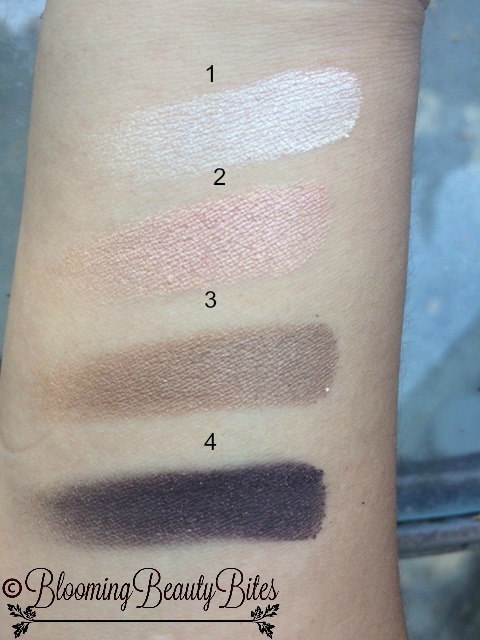 My very first Wet n Wild Eyeshadow Palette Review. What do you guys think?! 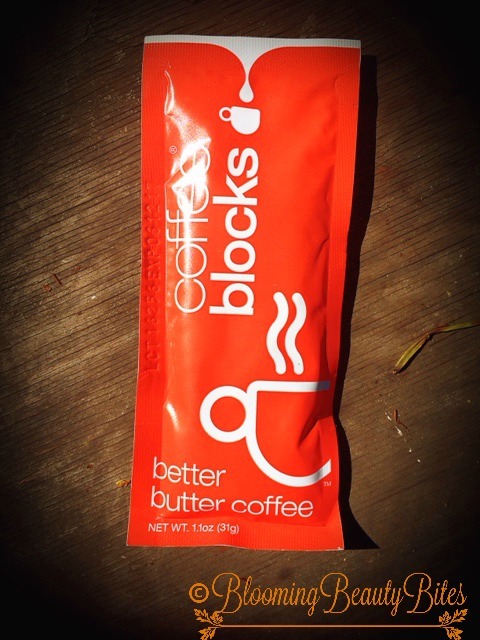 *Coffee Blocks*- “a better butter coffee” A squeezable coffee block that has coffee and butter?! As if you guys didn’t know yet, I’m a coffeeholic so when I saw I was receiving this, I was ecstatic. 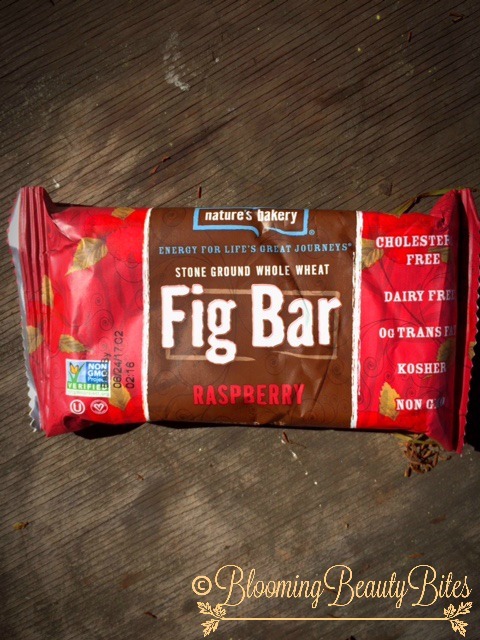 *Nature’s Bakery Raspberry Fig Bar*- I first heard and tried this out at last year’s Cake Expo in Los Angeles. Ever since then, it’s a snack i’ve been getting. When it first came out, I only found it at Winco, but they’ve started selling it at grocery stores. 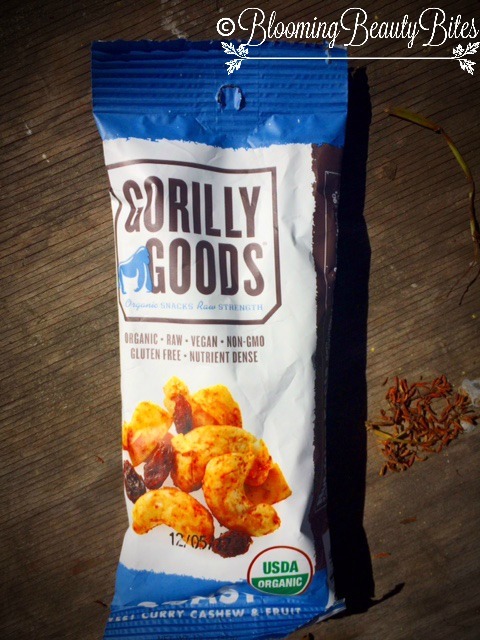 *Gorilly Goods Coast Sweet Curry Cashew & Fruits* – I don’t know about this one since I’m not a big fan of curry but still interested in trying it out. It’s organic, raw, vegan, non-GMO, Gluten Free, and nutrient dense. By the looks of it, you could order it online on their site or at your local natural grocery store. -may I mention the brand name and logo is amazing. You’ve got an outline of a gorilla hence the name! 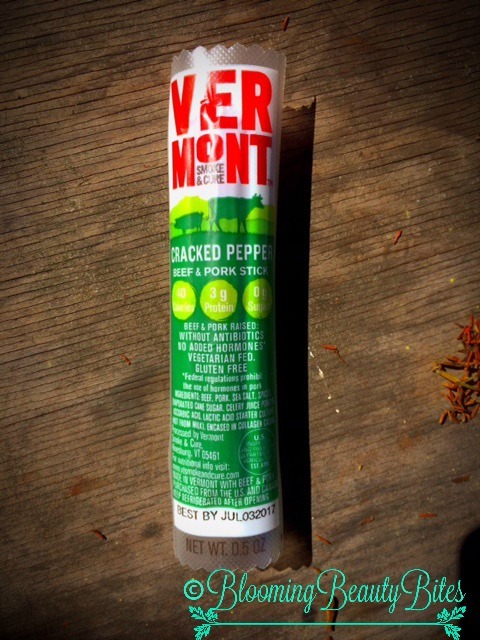 *Vermont Smoke & Cure Cracked Pepper Beef & Pork Stick* – I always like trying new beef sticks, it brings back childhood memories of Slim Jims. 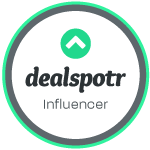 You can find them at Whole Foods, Target and Super Target. 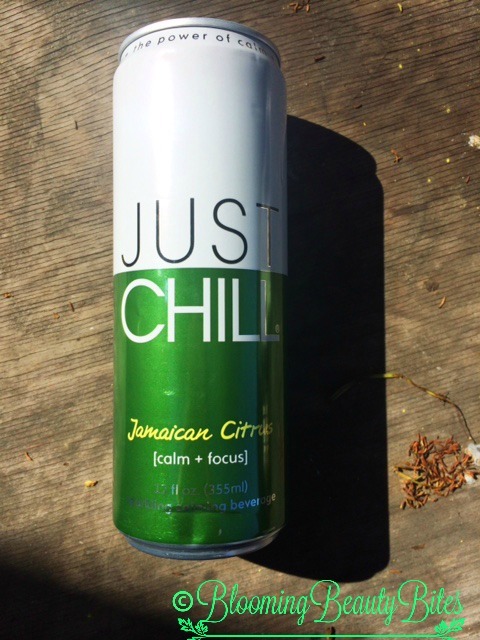 *Just Chill Jamaican Citrus (Calm+Focus)* – I’ve seen this a few times at Vons but never tried it. It appears to be a stress relieving and focusing sparkling calming beverage. It claims to support calm and focused mindset, helps reduce stress with Suntheanine. This drink is available at your grocery store, seems like this is an easy product to get your hand on compared to these other snacks. 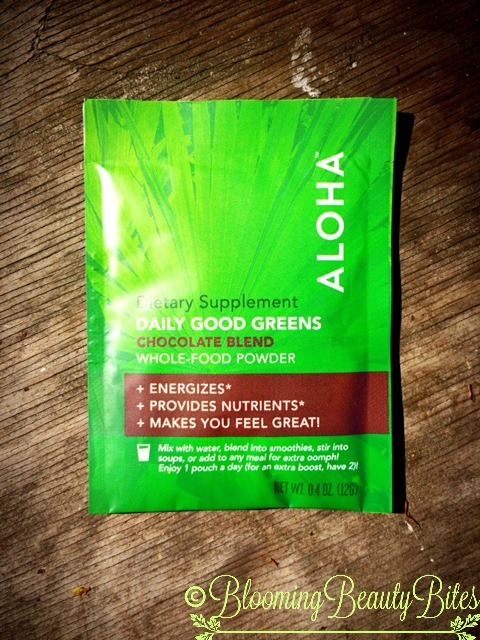 *Aloha Daily Good Greens Chocolate Blend* – I’ve actually tried the original Aloha Daily Good Greens so I’m excited to see the difference between them. It’s a dietary supplement and whole food powder that energizes, provides nutrients and makes you feel great. 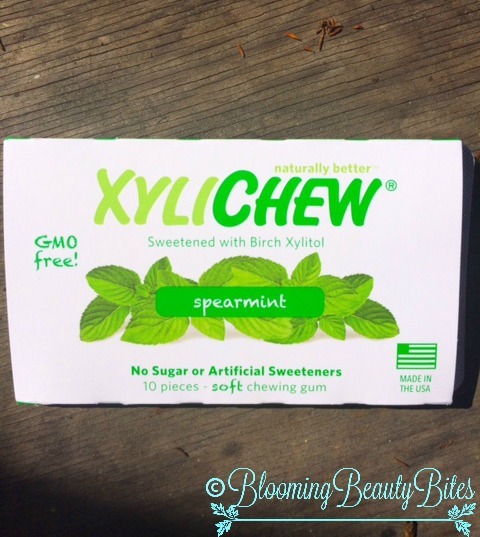 *XyliChew Spearmint Gum* – So it’s a gum sweetened with Birch Xylitol which is extracted from US forests. It helps balance your pH in your mouth reducing acid-producing bacteria that erodes tooth enamel. Now I’m excited to try this one out. You can purchase this at your local Sprouts and/or online stores such as Amazon, Vitacost, Herbvive just to name a few. 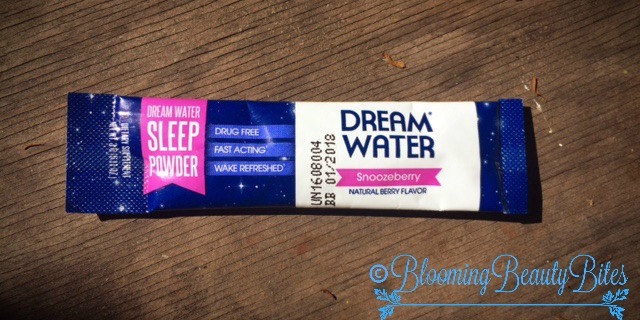 *Dream Water Sleep Powder* – Just the name of it, makes you wonder… lol We’ve all had those somewhat sleepless nights where you try everything and just still can’t fall asleep. It’s best to take this right after brushing your teeth and 30 minutes before going to sleep and if sleep is interrupted, then take another one. I’ll have to try this out when I’ve got to wake up for a really early shift. You can get these at your local grocery stores, some drug stores and even online. 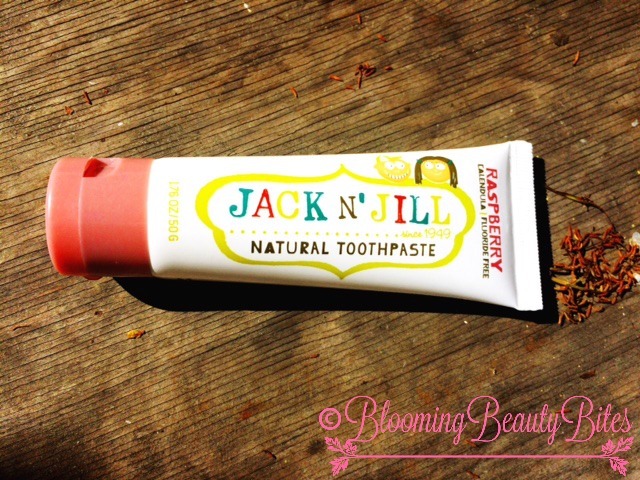 *Jack n’ Jill Natural Toothpaste* – Wow this toothpaste is even suitable from 6 month old babies and older. It’s all natural and safe in case the kids swallow it. It’s SLS free, no fluoride, no preservatives, no added color. 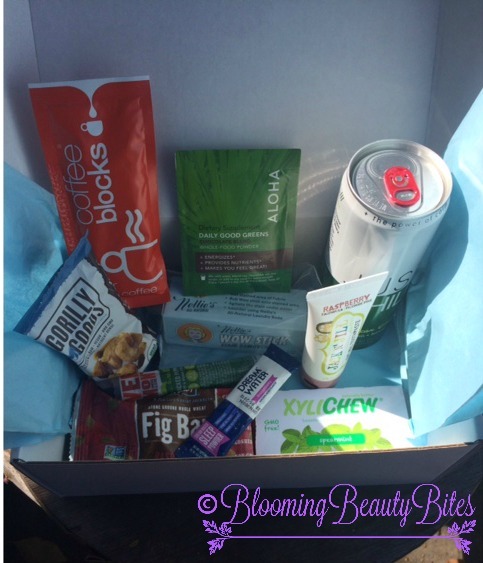 Xylitol is their main ingredient…Hey that was also the main ingredient for the gum! It’s an Australian company so you can only order online. 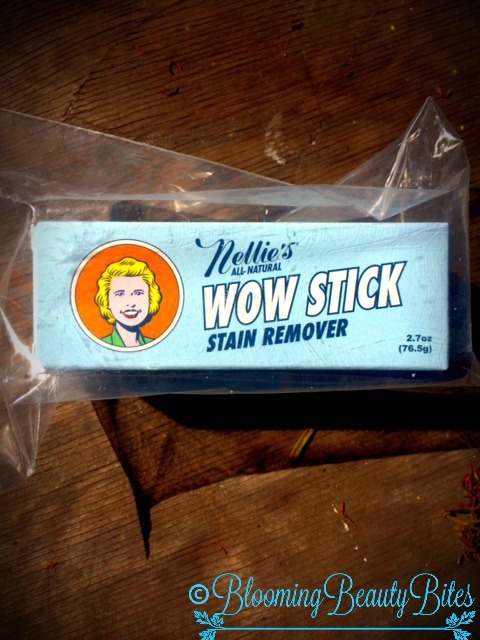 *Nellie’s All-Natural Wow Stick Stain Remover* – We all hate those random stains on your clothes right? Well wet the stained area of the fabric and rub the stick on the stained area. Agitate the stain under water and laundry away. It’s got lemongrass and sweet orange oil work with the cleansing ingredients to fight those odors caught in the stains. *For the Shampoo and Conditioner, it claims that it’s a moisturizing formula with Rosemary flower botanical that quenches dryness,and keeps color pure for up to 4 weeks. *Elixir: Nourishes, Hydrates, Soothes, Repairs, Density, Smooth, Textures, Strengthens, more softness and adds shine. I personally love it. The shampoo and conditioner both smell heavenly (a hint of rosemary and floral scents). My favorite would have to be the 10-in-1 elixir. It really did make my hair feel softer and hydrated. I definitely look forward trying the Deep Nourishing, Repair & Defend and the Frizz-Defy lines! 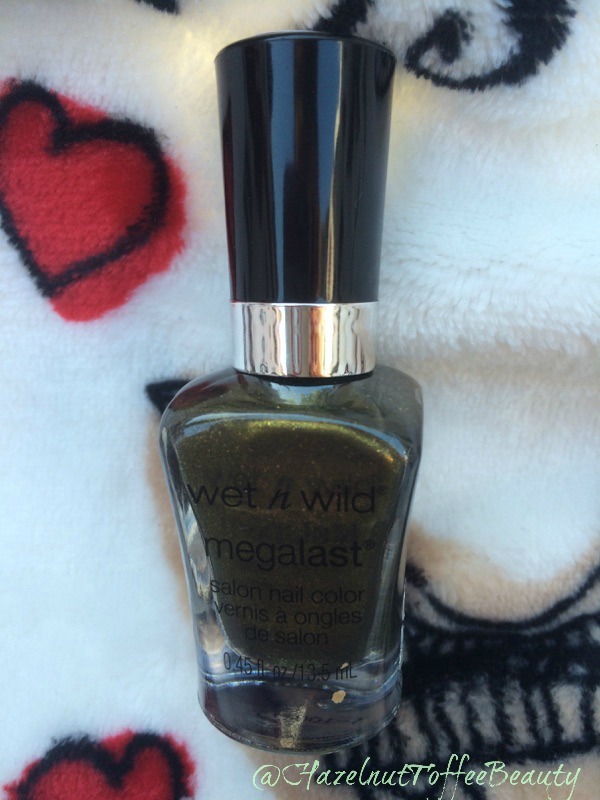 Wet n Wild Here’s to the Wild Ones Review and Swatch! Ahh I’ve been so missing and I’m so sorry. Things got a little hectic so I was away for awhile but I’m back again! I hope you all had a great Halloween! 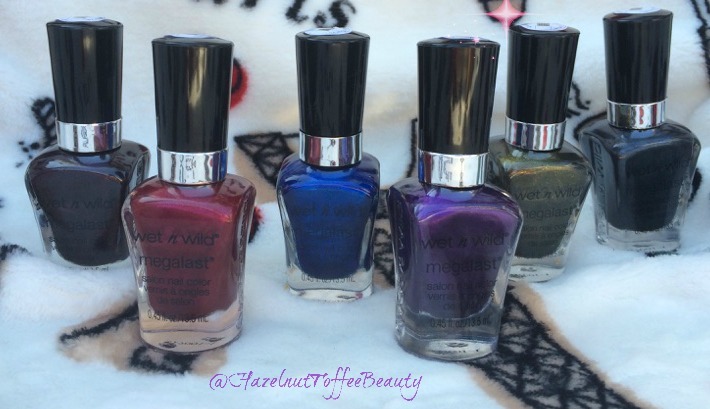 I realized that mostly every season Wet n Wild comes out with a Limited Edition collection and this fall wasn’t an exception. I made it my mission to get all 6 nail polishes, something I’ve never done before! What I love about this, is that they all have a metallic finish!! 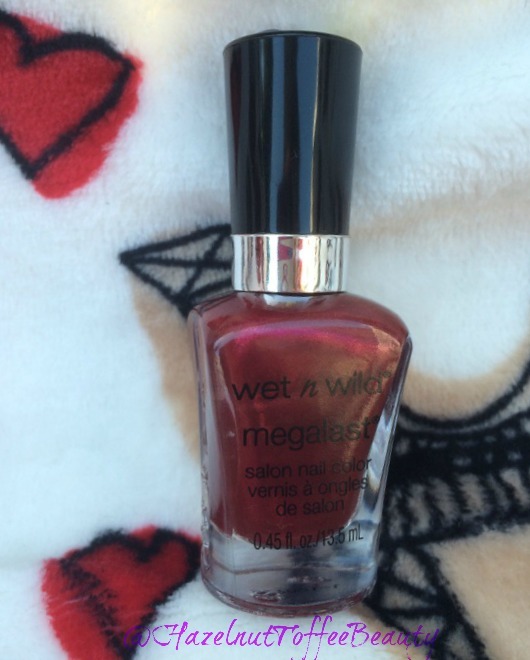 Stop and Mel-the-Roses: I cant help but think of Santa Claus when I see this color? 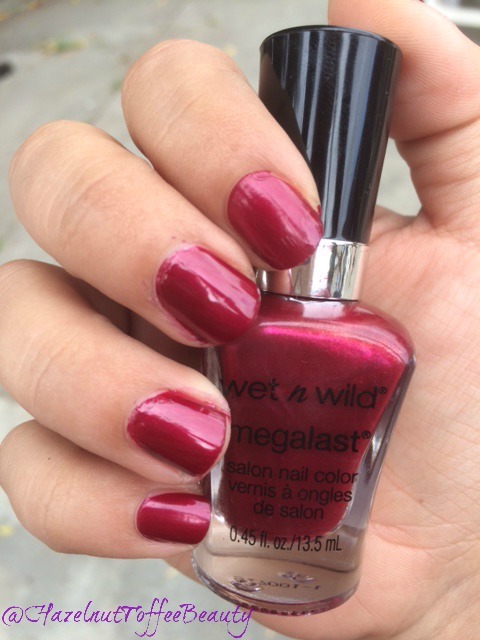 I wanted to include my usual Mani Monday so I wore this color, I love it!! Probably another new favorite of reds, especially for this season. 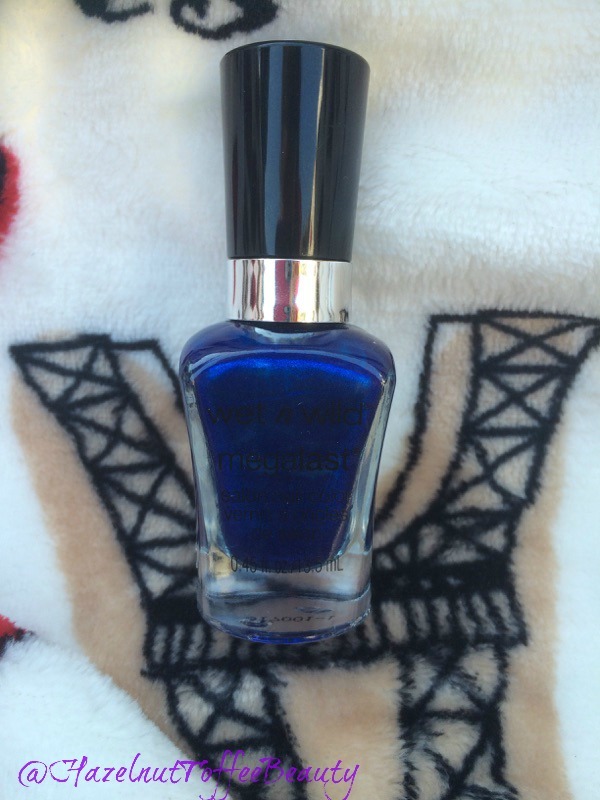 Pop-up Bluetique: metallic blue!! You can never have too many blues. I Moss Have It: a mossy green that would look perfect in the fall and winter!! Keep Vinyl Alive: a musky grey with metallic and sparkles!